9cm big flowers. At least five of them. zainal abidin, Chris1140 and Arne like this. I like it. The coloration is the lip is really cool. That flat dorsal is really nice as well. That is very good form and decent size for a cross like this, nice coloring, and 5 flowers is excellent. A definite winner. Registered as Paph. Connie. Beautiful primary hybrid and the dorsal is awesome. 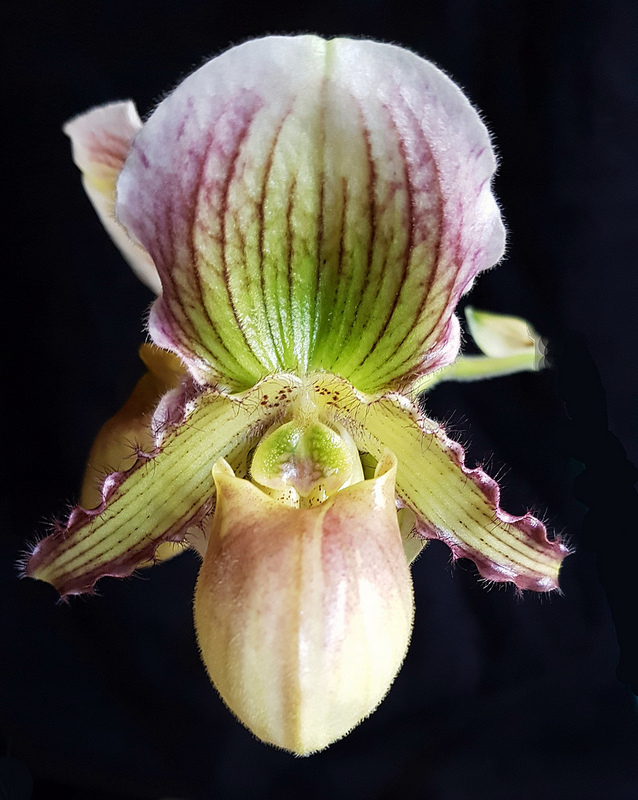 paphiopedilum tranlienianum album " hakone "
paphiopedilum haynaldianum album " Hong "
paphiopedilum tranlienianum album " Hong "
paphiopedilum x angthong album " Sachiko "
Paphiopedilum delenatii album x fairrieanum album " hanhrokko "